The Samsung Galaxy Note 9 was launched at the Samsung Unpacked event in New York on Thursday. A glance at what went down at one of the most anticipated launch events around this time of the year. The Samsung Unpacked event in New York saw several new devices - Samsung Galaxy Note 9, coupled with an imporved S Pen, Samsung Galaxy Watch, Samsung Galaxy Home - coming to the fore. Out of the amazing line-up Samsung had prepared for the evening, the Galaxy Note 9 remained the showstopper for the event. Samsung promises to deliver faster performance, better camera capabilities, superior network connectivity and enhanced storage, along with a battery powerful enough to carry this device smoothly through a day's usage. On the performance front, the Samsung Galaxy Note 9 comes in two memory configurations: 6GB of RAM coupled with 128GB of internal storage, or with 8GB of RAM with 512GB of internal storage. The processer running the phablet will be a Snapdragon 845 for US model, and Exynos 9810 for other markets. In the optics department, the Galaxy Note 9 gets a dual camera setup at the back with two 12MP sensors. One of these sensors has wide angle lens and variable aperture mode that can switch aperture between f/2.4 and f/1.5, whereas the other has a telephoto lens and fixed aperture at f/2.4. The rear camera setup comes with dual OIS, 2x optical zoom and 10x digital zoom. The front camera is an 8MP sensor with auto-focus with 80-degree wide field of vision. The screen on the Samsung Galaxy Note 9 is a 6.4-inch Infinity Display with Super AMOLED panel and Quad HD+ resolution (2960x1440 pixels). The imporved S Pen with the Galaxy Note 9 comes with better pressure sensitivity and Bluetooth remote technology. The 6GB variant of Samsung Galaxy Note 9 will be priced at $999 (around Rs 68,700), whereas the 8GB variant will be available for $1,249 (around Rs 86,000). There is no word on an India launch yet. - The new Samsung Galaxt Note 9 comes with diamond cut finish for cleaner design. - The Galaxy Note 9 will be available in Metallic Copper, Lavender Purple, Midnight Black and Ocean Blue colour options. - Samsung claims that the 4,000 mAh battery with Galaxy Note 9 will be enough to get the device through the day with ease. - The Samsung Galaxy Note 9 will come with 128GB or 512GB of internal storage, which can be further expanded to 1TB. - Epic Games has partnered with Samsung to bring Fortnite Beta for Android to the Galaxy Note 9 first, along with other Samsung Galaxy devices. 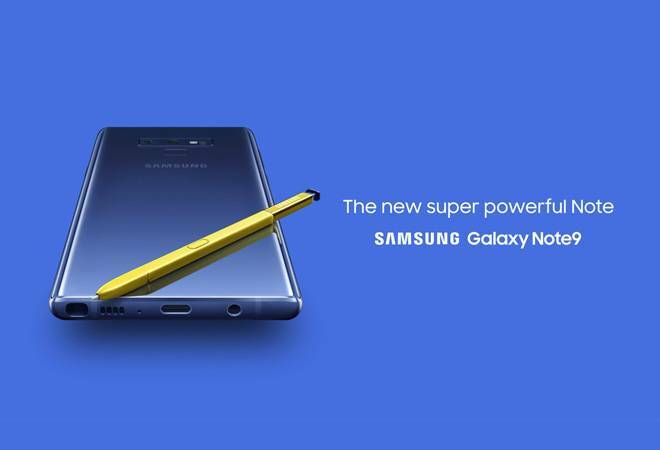 - For stable performance, the Samsung Galaxy Note 9 comes equipped with water-carbon cooling system to keep the device at a favurable temperature. 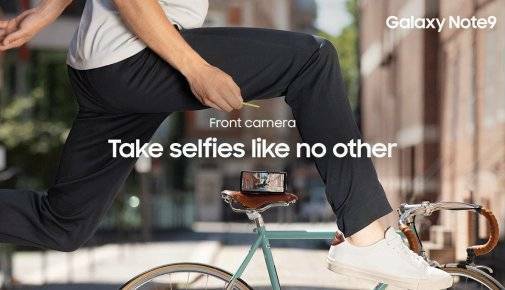 - In the optics department, the Galaxy Note 9 gets dual aperture camera, with f/2.4 and f/1.5 aperture modes for adjusting according to the lighting conditions. 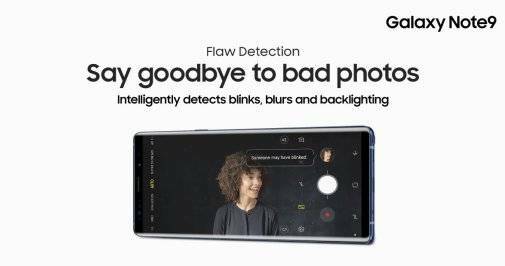 - The camera on Samsung Galaxy Note 9 comes with flaw detection technology with sends automatic notifications whenever it detects a flaw in the frame, like blinks, blurs or backlighting. - The camera also comes with scene recognition for adaptive light settings. - The S Pen bundled with the Samsung Galaxy Note has been improved a great deal too. The new S Pen comes with Bluetooth remote technology which can be used to take images, play and pause Youtube videos, control Powerpoint slides, and more. 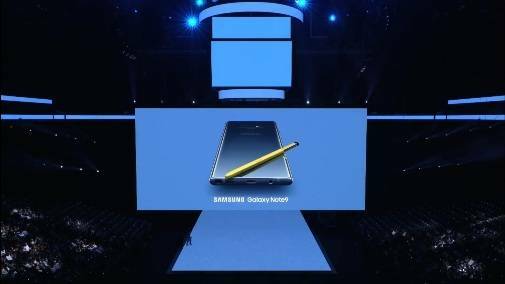 - The S Pen SDK will be made available to developers soon so that they can develop more uses for the Bluetooth remote-enabled stylus. - The Galaxy Note 9 comes with Samsung Dex built into it, doing away with the need for a separate Dex dock. - Dual Canvas, developed with Adobe for streaming changes on a Dex-enabled smaller screen to a connected bigger screen. - The Samsung Galaxy Note 9 will be available from August 24.